Self love is something that I see all over social media. We are told we are good enough and we are told to be confident with ourselves, but a quick look on Instagram can put you in a self loathing downward spiral. As someone who is quite confident with who I am I thought it was time to write a blog post about this. I know that I have a lot of flaws, the biggest being my nose, BUT, despite this, I love my flaws, I love my nose. Each and every little flaw make me ME. I've never been one to look to surgery because it doesn't bother me enough to want to go under the knife. But I completely understand why some people choose to go down that route. Personally, I am all about self love, through and through. Love yourself, love your flaws because my darlings, your personality and the way you look all tell your wonderful story! 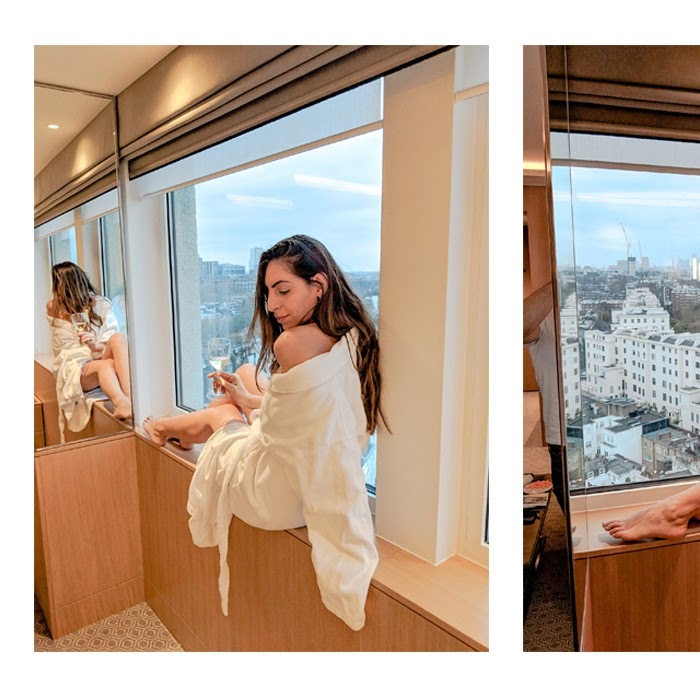 With the likes of Instagram models I find that a lot of people are finding it more and more difficult to love themselves. As someone who is quite confident and has a large dose of self love, I have even noticed that on the odd occasion, I feel like I am not good enough and that there's a few things that I would like to change about the way I look. Growing up I was always super shy, yet I had this confidence within myself. I always had this feeling that I was good enough and I've always liked the way I looked. I know I'm not the most beautiful person this world has ever seen. But I'm pretty content with the way I am and the way I look. I've always been one to lift myself and have always been looked at like I love myself and it was always portrayed in a negative way. But as I've grown older, I've realised that it's pretty amazing to love yourself as much as I love myself. I started this blog almost five years ago now as a way to inspire and be the confident sister to girls who need a little dose of confidence. I feel like young girls and even women are looking at Instagram models and thinking they HAVE to look like that. We are conditioned to want to change ourselves, and in my opinion, this is bullsh*t. I've put together five reasons to love yourself, because, why the hell not. 1) No one will love you as much as you love yourself. The world is full of kind souls, but it's also filled with those who are out there to hurt you. 2) You are unique and beautiful. There is no one in this world who looks like you who has your humour, so embrace it! 3) Once you love who you are your confidence will grow. Confidence is key to success, and when you love yourself your self-love and confidence will help you achieve things you couldn't imagine. 4) Self love attracts love. When you love yourself, you attract others to love you too. 5) People come in and out of your life, the one constant is yourself. Learning to love yourself everyday allows you to be happy on a daily basis. I hope these five small reasons make you realise that it's ok to love yourself and that from today you have more confidence within yourself. One thing about being a blogger that I love is the fact that it has changed the way I see things. In 2008 I came to this exact location with my entire family. It was after a weekend spent in the newest hotel in North Cyprus and a traumatic experience with a Turkish Singer who tried to groom me and my cousins (but that's a story for another day). Tired, bored and fed up, our parents dragged us to Salamis to visit the ancient Greek ruins. As you can probably imagine, I wasn't really in the mood for sight seeing. I did however take some photos (which are on a private folder on Facebook, and totally not Instagram worthy) and I think it was this era that I became fascinated in taking pictures and having my photos taken. For my 14th birthday I asked for a digital camera. This was to be the first camera that was mine and I was to use it to capture special moments in my life. I'd carry this camera around with me everywhere I went and in turn come home and upload them all to Facebook for all my friends and family to see. My first camera was the Samsung (NV7 OPS, don't quote me on this) and it was everything I could have ever wanted. It was digital, it was light, durable, had a zoom lens and had a high number of mega pixels. What more could I want. Although I would only use it for point and shoot and never played around with any of the settings, I thoroughly enjoyed using my camera and taking pictures. And I used that camera to death. Once it started playing up I decided to upgrade to a DSLR and this is when blogging really started for me. Since then I have upgraded my cameras my lenses and now have multiple cameras all for different reasons. If you'd like a blog post on my current cameras let me know and I can share what I use and what I use them for with you all. Bringing it back to the reason of this blog post. 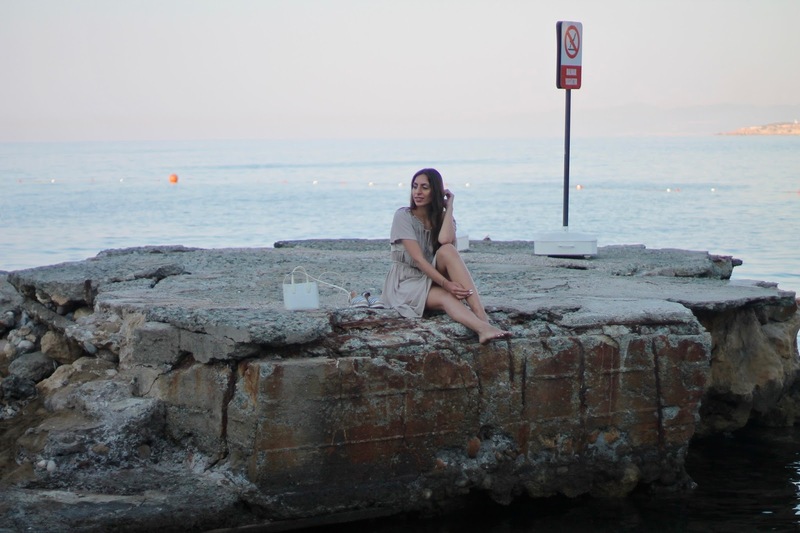 I go to North Cyprus every year, and each year I want to create beautiful content for myself and my readers and followers. 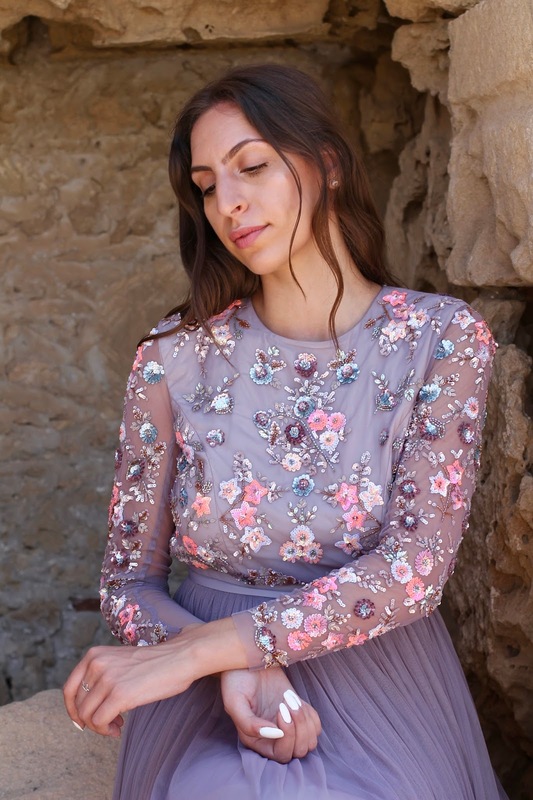 And this year when I went back in June, I had envisioned going back to Salamis with this gorgeous dress and I am so happy with how they came out. The way I see beautiful locations has now changed. Before I would go to a destination and have a little look around, but now, as a blogger/ photography enthusiast, I see things differently, I see the little details, I see the ruins of an ancient city and I think how can I capture this in the best way possible. If you take on thing from this blog post, I hope in inspires you. 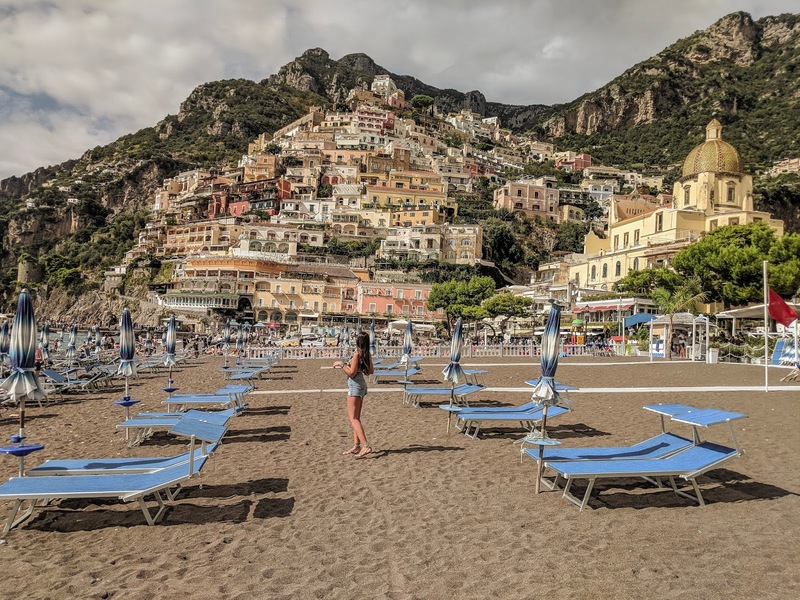 I hope it makes you think about all those places you have visited and how you would see it differently if you were to go there again. With summer in full swing, there’s one thing that’s on my mind. Tanning. 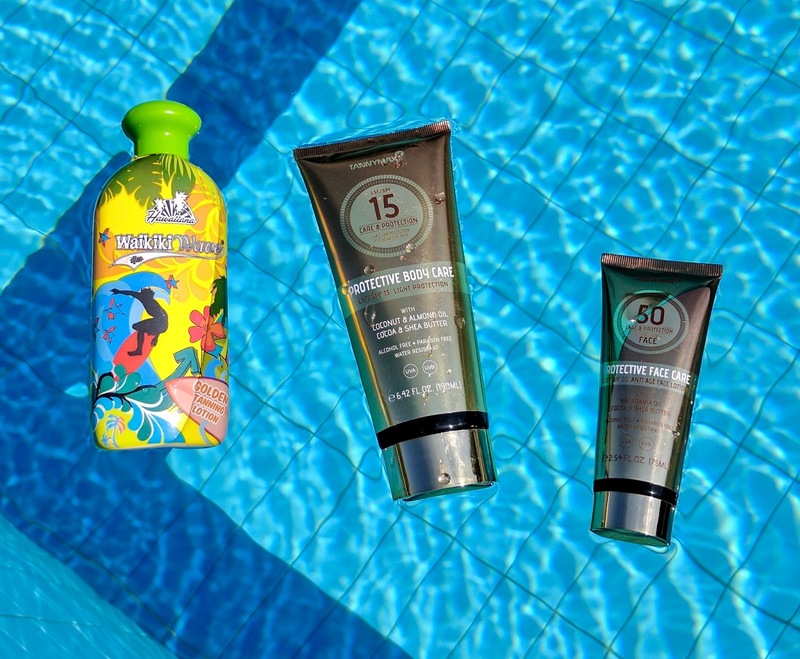 Being a beauty blogger I know the importance of protecting your skin from sun damage and what products you need to use. On my recent trip to North Cyprus I put some of the Tannymaxx products to trial. 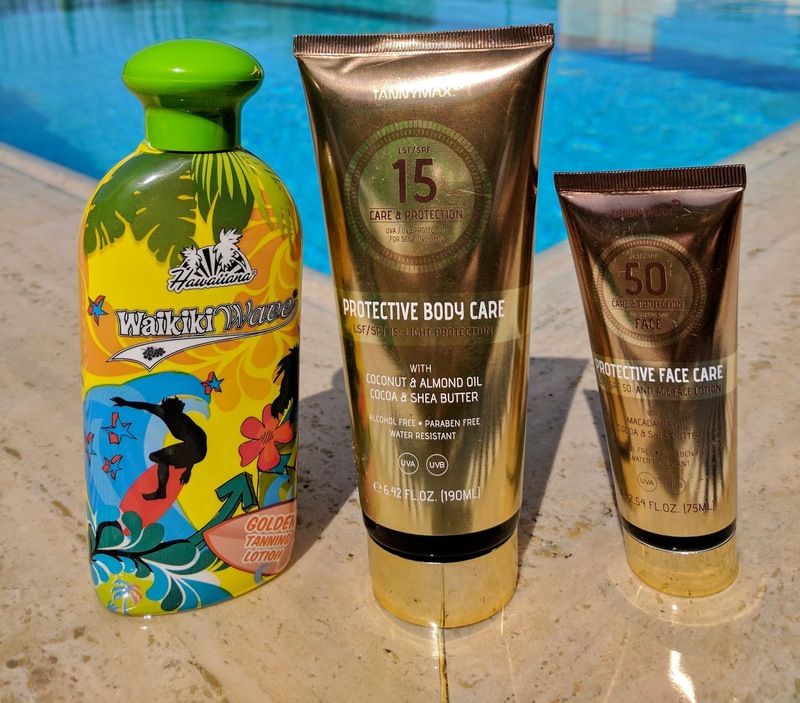 I decided to choose the ProtectiveFace Care SPF 50 for face and ProtectiveBody Care SPF 15 for body as well as their Waikiki Tanning enhancer. On first impressions, I was a little sceptical. I'd never heard of the brand before, and I decided not to do any research before using the products. 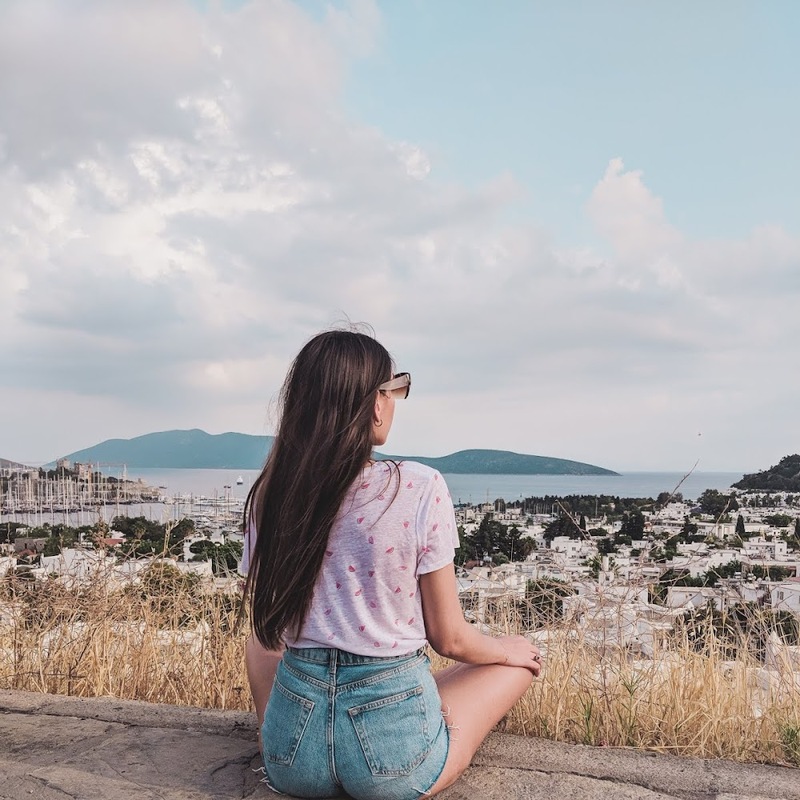 I wanted a totally unbiased opinion about the brand and their products and wanted to try them out in North Cyprus, as I would be able to compare the results to previous holidays I’ve had there. And I have a new favourite. I spent the holiday passing the creams around the whole family and they too loved using the products. I prefer to protect my face from as much sun damage as possible so I always have SPF 50 in the summer and where possible I hide my face when laying in the sun. The TannyMaxx face cream has quite a thick consistency compared to the body lotion. Personally I quite like that. It results in me feeling like my face has quite a thick layer protecting it whereas the body SPF just melts into the skin and is so easy to rub in. Unlike a lot of other SPF’s on the market, I don’t feel like I’m left with a white layer on my skin. On the last few days of my holiday I decided to use the tan enhancer. This does not have any SPF but when used correctly, there is no damage to the skin. 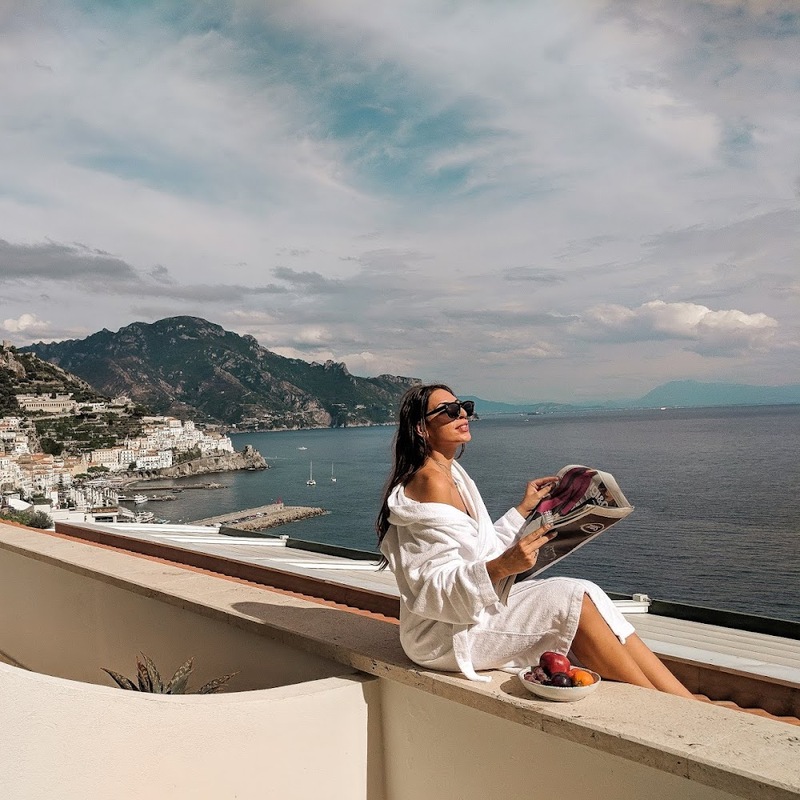 I would apply my SPF in the morning and top up as I would get in and out of the pool/ sea and when it would get to around 4pm (when the sun is not so strong) apply the tan enhancer just to give myself that extra glow. The Waikiki Tanning enhancer smells so delicious. It smells a little like Coco butter but without the sickly smell. 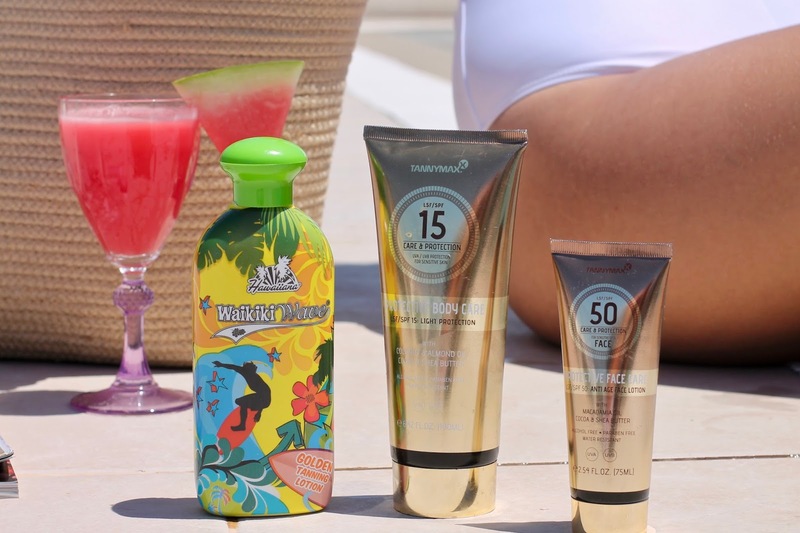 Although the tanning enhancers do not have any SPF "the skin [is] fully cared for by the tanning lotion, and the amino acid Tyrosine also reinforces the natural tanning process and allows the skin to tan quickly." 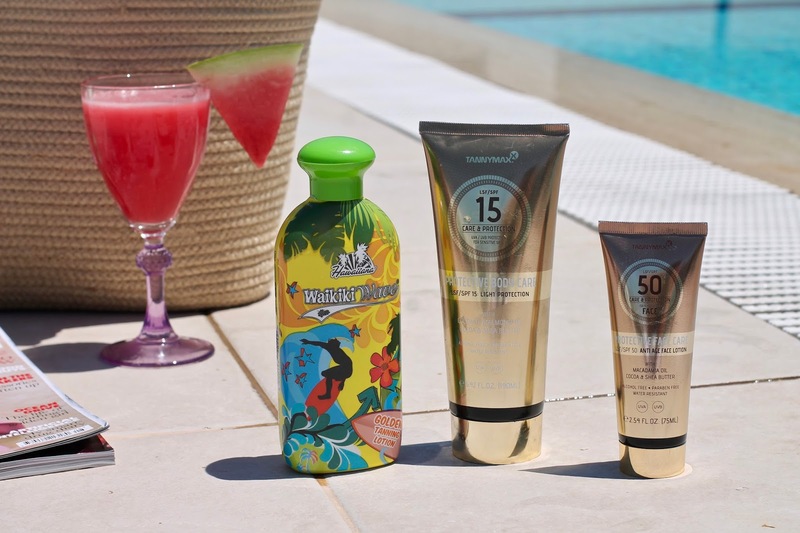 If there’s one thing you try this summer, let it be the TannyMaxx tanning range. You won’t look back. I can’t wait to bring these with me to Croatia and Greece next month. Pom poms, love them or hate them, when summer hits, they're everywhere. Personally I love them. I love them, but I only like them for the summer. I feel like it has this grecian vibe to it, and the sight of multiple different coloured pom poms bring my mind straight to the beach with sand in my toes and sea hair. Although I love the colourful pom poms, I wanted to do a post on a more wearable approach. I know a lot of my readers prefer a more muted and sophisticated look so I created a look using black pom poms and I'm in love. I find this look to be so on trend my timeless at the same time. I find that a lot of people shy away from wearing black in the summer, (read why I love wearing black in the summer here) but by adding a pop of colour with the mustard top it adds more to the outfit as a whole and makes it more of an interesting look. The material of this top is really thin and keeps you cool during the long hot summer. It was perfect for when I went to Cyprus in June, but with temperatures reaching over 40 degrees I think I'm going to living in a bikini for the rest of my time here and stick to wearing these outfits in the evenings. Summer. It's my favourite time of the year. The sunshine, the warm climate and the fact I can consume as many ice-creams as I like in hopes of cooling down makes me super happy. One of my go to looks for summer days are dresses. I have and most probably will always rely on dresses. I find them the easiest as it's just one piece of clothing and I don't have to faff around finding something to match. Don't get me wrong, as you can tell from my blog, I always switch up my style from playsuits to skirts and shorts, but dresses will forever be my favourite. There's something about wearing light colour in the summer. It makes me feel so fresh and I want to say breezy, but I'm aware that's not an adjective, but I'm going to go with it. The dress is so light that it keeps you cool during the summer. The bardot style is perfect for revealing a bit of skin without looking over the top. 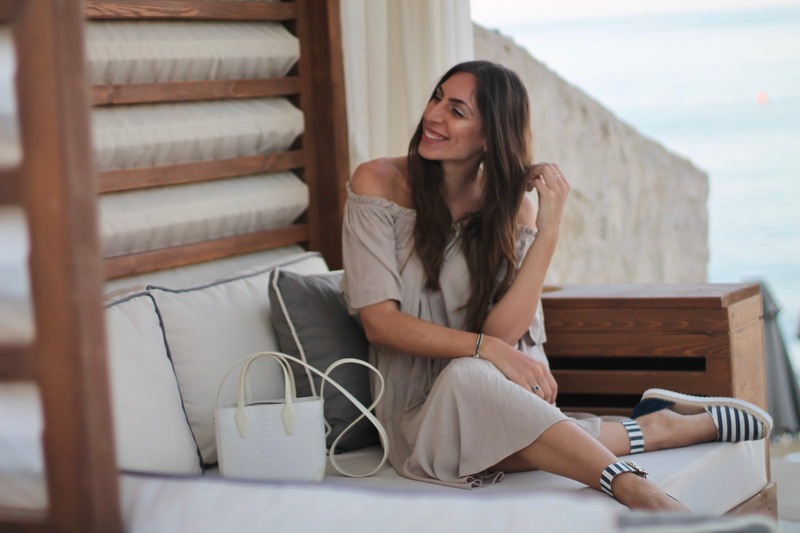 Personally, you can't go wrong with a bardot, but for those who feel a little conscious and dare I say a little naked, opt for a cold shoulder or something which just grazes across the shoulder. I teamed this dress with these striped sandals. They're super cute and were under £25. I find that stripes are perfect to bringing a nautical vibe to your look, and when the stripes are quite close together, it can make a outfit look put together and a lot more expensive than it actually is.